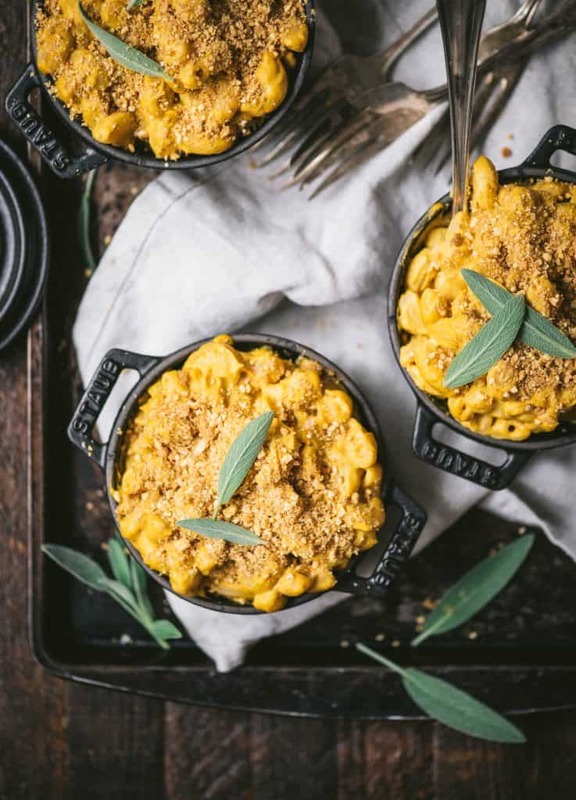 Mac and cheese ranks just slightly below pizza on my all-time favorite comfort foods list, and while it may never take the number one spot (sorry, but pizza always wins), it’s a pretty close second – especially this version, with the comforting and seasonal addition of roasted squash! 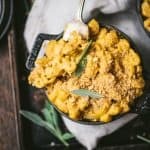 Homemade vegan mac and cheese really couldn’t be easier. Only three simple steps stand between you and this gloriously (vegan) cheesy dinner: the first is to roast some squash, the second is to throw a bunch of ingredients in a blender, and the third is to boil some pasta. 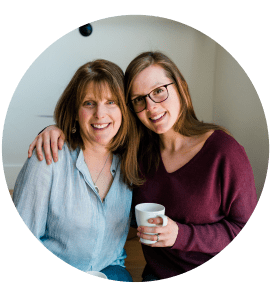 So easy, your kids could (probably) do it! To be completely honest, it feels a bit wrong to deem this mac and cheese – it doesn’t quite have that cheesy, gooey texture you might be used to with a regular dairy version – but it’s delicious in its own right. While the cheesy flavor is there (thanks, nutritional yeast! ), I’d describe this more as a cream sauce. To up the mac & cheese factor, we always top ours with a healthier version of breadcrumbs: crunchy chickpeas! We take a handful of (store bought) sea salted crunchy chickpeas, blitz them in our spice grinder (you can also use a small food processor), and sprinkle them generously over the top before serving with fresh sage. You can make a large batch at once and store in an airtight container in your pantry for a few months. 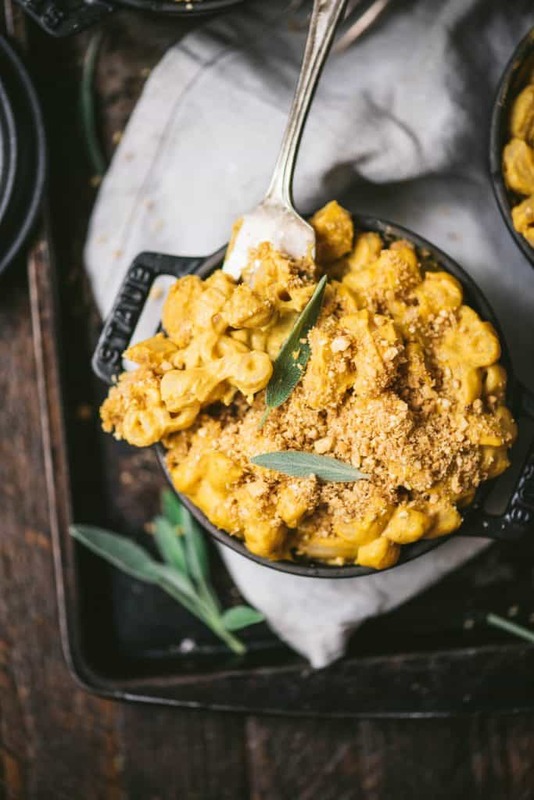 This creamy pumpkin mac and cheese is vegan comfort food at its finest! Preheat oven to 350 degrees. Peel and cut squash into small chunks until you have 2 cups of squash. Toss squash in about 2 tbsp olive oil and a pinch of salt. Roast until softened and slightly browned (about 20-22 minutes). When finished cooking, remove from oven and set aside to cool. Drain and rinse cashews before adding to a blender with cooled butternut squash, pumpkin, nutritional yeast, lemon juice, oil and spices. Stop a few times during blending to scrape mixture off sides of blender with a spatula. Blend until sauce is creamy and smooth. Cook pasta according to package directions. When draining, reserve a few tbsp of cooking water, which you can then add to sauce to loosen it up a bit. Pour sauce over cooked pasta and serve with crushed roasted chickpeas or breadcrumbs. We love using crushed, roasted chickpeas as a “breadcrumb” topping on our mac and cheese! Store-bought is totally fine – just blitz them in a food processor or spice grinder for a few seconds.